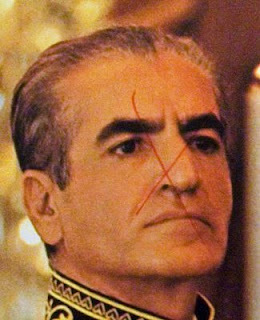 Mohammad Reza Pahlavi was Iran's monarch from 1941 to1979. He ruled the country for 37 years, and was unceremoniously removed from power in 1979 by Ayatollah Khomeini and his many millions of followers. He died in 1980. Today his wife, Farah Pahlavi, divides her time between the West and Egypt. A lavish photo book extolling the glories of Iran's present and past, called Persia: Bridge of Turquoise, was produced during the king's reign. The photography was by Roloff Beny, and it included an essay by the renowned Iranian scholar Seyyed Hossein Nasr. 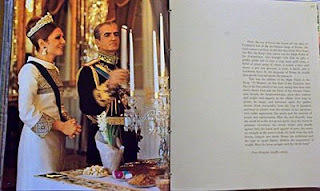 The forward was written by Farah Pahlavi. 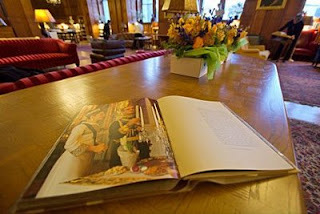 The book contains a few images of the king and his wife, both of whom look eminently regal in appearance. When I was browsing through a copy of this book a few days ago in the Morrison Library at UC Berkeley, I was momentarily stunned and slightly bemused to find an X a previous reader had drawn using a red ball point pen on one of the pictures. It was scribbled directly on the face of the former king. Someone had literally defaced the king. The vandalism of a library book is a librarian's nightmare, of course. Damage done to any book is often permanent, and can be disastrous when the book is impossible to replace. UC Berkeley's library is one of the finest in the United States. It provides an outstanding environment for scholarly research. One simply doesn't expect to find random acts of permanent political protest within the pages of its library books, even at a campus with a progressive reputation like Berkeley. In such an august environment, is such an act by a reader a stirring rebellion in favor of humanity's dignity and justice, or merely the uncouth work of a hasty barbarian? What was the vandal thinking? Was it spontaneous? Maybe seeing a few images of regal splendor was more than the vandal could handle, and the defenseless book was the object of their frustration. I imagined a face, angry at first, eyes ablaze, a red pen held aloft ready to strike, but then softening to reflect a warm, satisfied glow. Or perhaps it was a measured act, plotted after a night of determined reflection. My mind formed the image of a student tossing and turning in bed, unable to sleep, with angry thoughts coursing through his tender mind. 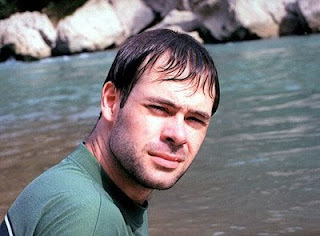 Perhaps his uncle had been tortured and killed by the king's intelligence services, and he was taking revenge. Perhaps he hated the outlandish wealth of the king, while the ordinary people suffered. I became fascinated with the defaced image. It represented something for me, but what was it exactly? There are many oppressive forces that bear down on us. We may feel like we have little control over our destiny. We might well be aware that many of our leaders are selfish and perhaps even overtly corrupt, like the former king of Iran was, but we probably feel we have little power to change the situation. Defacing an image might be one way for someone to feel like they're doing something productive. Perhaps the fact that I am a photographer myself makes me sensitive to these issues. I'm often intrigued when there is a collision between ideals and ideology, or beauty and ugliness. Images I've published on the Internet are often used for political or artistic purposes by individuals and organizations. Sometimes people ask me for permission, and they occasionally even pay me for the privilege. At other times they use an image without bothering to contact me. Sometimes they respect the dignity of the people in the images, sometimes not. All in all, the vandal got me thinking. I don't like how they did it, but I have to admit they left their mark on more than just the book.